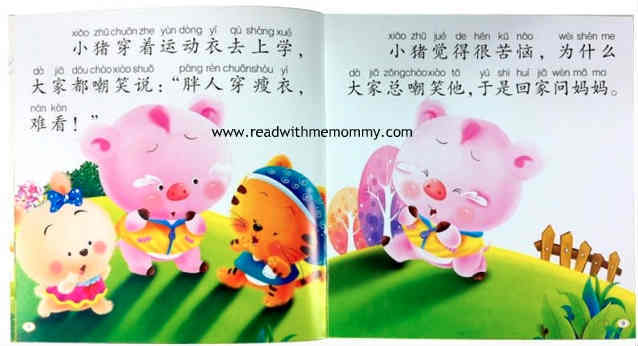 Character Building For Kids contains 10 storybooks. Each book centres around a certain theme (e.g. honesty, punctuality, etc), and the key learning points are brought across through the short stories found in each book. 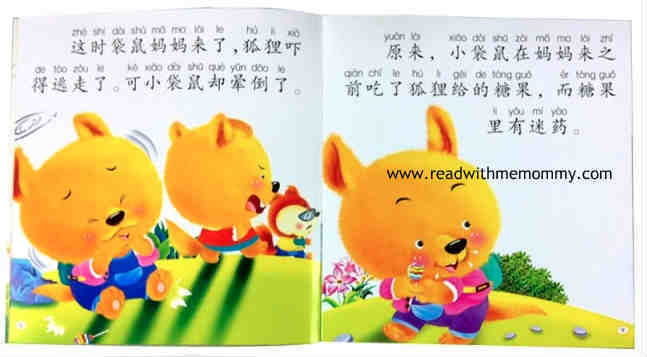 The books comes with large font and hanyu pinyin. 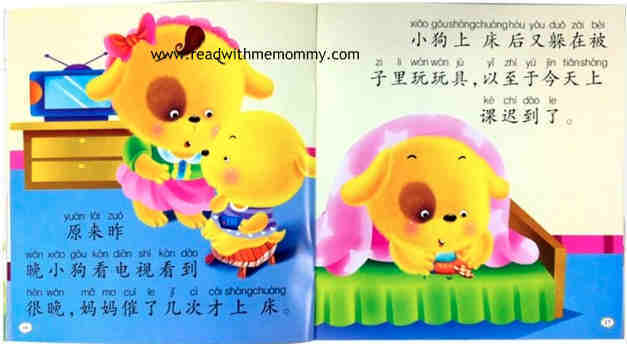 Very simple and straight-forward storyline that is easy for toddlers to understand. 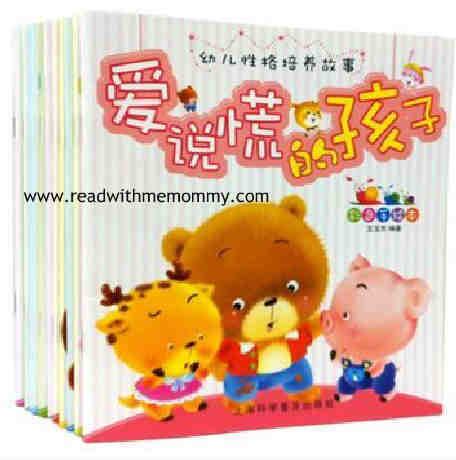 We would recommend this bookset for reading to children who are 3 years old and above.